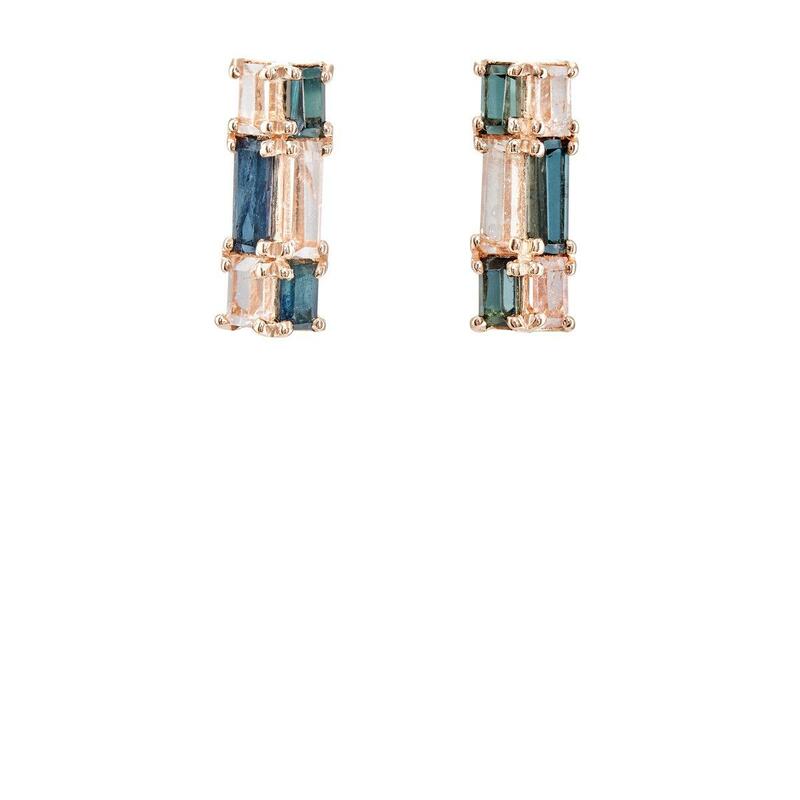 See more Nak Armstrong Earrings. We check over 450 stores daily and we last saw this product for $2,674 at Barneys New York. 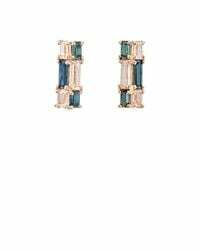 Crafted in the U.S. of polished 20k rose gold, Nak Armstrong's Mosaic bar stud earrings showcase stacked green tourmaline and peach tourmaline tiles. Gemstones rest in prong settings. Smaller tiles frame larger tiles. Green tourmaline tiles. Peach tourmaline tiles. Polished, recycled 20k rose gold. 1cm length x 4mm width (approximately). Post back.